Ugh. I hate it when I can’t get a correct swatch for the gauge of a pattern. I know I usually have to go down at least two sizes from what’s suggested. Here’s my tale of woe. I wanted to knit a raglan sweater. I found a pattern on Ravelry that seemed nice, and I bought it. 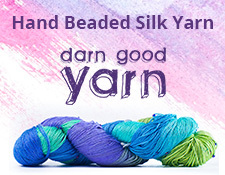 I bought some lovely Bernat Super Value Worsted Yarn, and merrily went home to start. The gauge for the sweater was “20 sts and 28 rows = 4” in stockinette stitch with larger needle,” which meant a size US 7 in this pattern, so I automatically went down to a US 5. No luck. Next, I went down to US 4. Nope. US 3? Not close, either. I tried a US 2, measured at 14 rows, and the gauge was still way big. I ripped that one out. Even when reading this pattern, I thought the gauge seemed tight…really tight. I inquired of this to the pattern designer who said I was reading the gauge wrong. I cast on 20 stitches and knit 28 rows for each swatch. Did I do that incorrectly? Anyway, I tossed those swatches across the couch where I knit and grabbed my copy of “Knitting for Dummies.” I knew there was a raglan sweater payment in there. I read it. Hey, you don’t even need to knit a gauge swatch for that one! You just knit to your measurements! I can do that! Here’s my progress, which I started on Saturday, below. I think I’m doing pretty well, and I have my measurements pretty close. So, far, so good! The only thing about the “Knitting for Dummies” pattern is that is uses yarnovers for increases. I decided to use M1’s, instead. I still got those lovely raglan increases. I’d be interested in hearing what you think about my gauge controversy. Thoughts? Posted on February 16, 2016 February 16, 2016 by jennabee25Posted in RamblingsTagged knitting, raglan sweater, swatch, sweater knitting. I thought gauges had to be knit about twice as big as the number of cast on stitches and length so it could be accurately measured 20 stitches across and 28 rows down and after you block it without the sides or cast off/on edges throwing it off but that shouldn’t make 5 needle sizes difference? Yup, I agree. I could be misunderstanding something, but I’m it still seems off to me.